The Church of Georgia is one of the oldest Christian churches, tracing its origins in tradition to the missionary efforts of the Apostle Andrew in the first century. Historically, adoption of Christianity by the kingdom of Georgia (Iberia) is traced to the missionary efforts of St. Nino of Cappadocia beginning in early fourth century. Initially, the Georgian church was part of the territory of the Patriarchate of Antioch. The church was granted autocephaly by the Patriarch of Antioch in 466. While seriously disrupted by the invasions of the various tartar tribes in the 13th and 15th centuries the autocephalous church survived until it was placed under the administration of the synodal Church of Russia in 1811. After the abdication of Czar Nicholas II following the 1917 February Revolution, the Georgian hierarchs restored autocephaly that was eventually recognized by the Church of Constantinople and the Church of Russia. 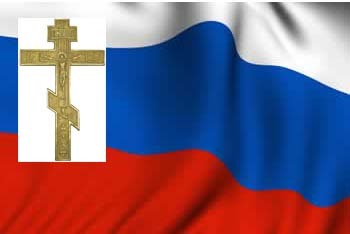 With recognition of the Orthodox Church by Stalin after the 1941 Nazi invasion of the Soviet Union, to gain support of the Church for repulsing the invasion, the autocephaly of the Church of Georgia was recognized in 1943 by the Church of Russia. Then, in 1989, autocephaly was recognized by the Patriarch of Constantinople, thus approving the de facto autocephaly exercised since the fifth century. With the downfall of the Soviet Union and the resulting independence of the country of Georgia, a great revival has taken place for the Church of Georgia. As of 2002, more than eighty percent of the population of Georgia has identified themselves as Orthodox Christians. The church itself was organized into 33 dioceses, with 512 churches. The church in Georgia of some 3.5 million people was served by 730 priests. In Abkhazia, a region within Georgia which has declared itself an independent state (recognized only by Russia), Georgian church authorities have largely been prevented from exercising any authority, and the Abkhazian leadership has exiled the diocesan bishop appointed by the Catholicosate. Functioning within the area is the so-called Abkhazian Orthodox Church, which is as yet unrecognized by any other Orthodox church, although it has been given some practical support by the Church of Russia. The breakaway diocese is now seeking to become a self-governed church under the Moscow Patriarchate.